A groundbreaking new study has found that the active ingredient in Monsanto’s best-selling herbicide Roundup is responsible for fueling breast cancer by increasing the number of breast cancer cells through cell growth and cell division. The effects are so potent, in fact, that the cancer cell proliferation is driven even when we’re talking about Roundup in the parts-per-trillion (PPT) range. 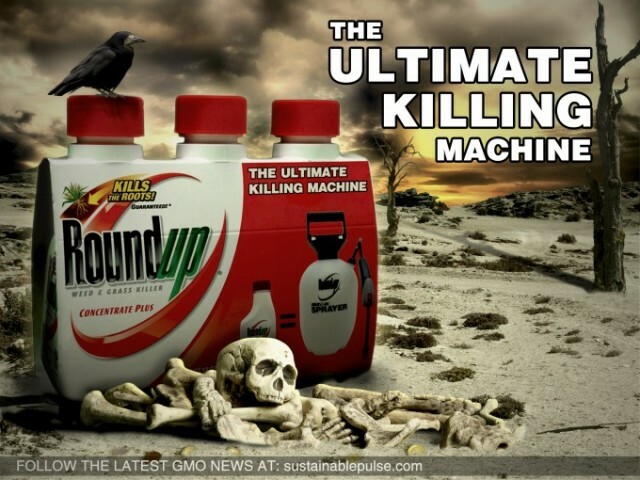 The study, which is to be published in the journal Food and Chemical Toxicology, focused on glyphosate, the main chemical ingredient within the most widely used herbicide today – Monsanto’s Roundup. After comparing how hormone-dependent and hormone-independent breast cancer cell lines were affected by glyphosate, the researchers found that glyphosate fuels cancer cell lines that are hormone dependent. Additionally, the researchers concluded that due to glyphosate’s estrogenic properties, the chemical is likely considered what is known as a “xenoestrogen“. As NaturalSociety has covered before, xenoestrogen is foreign estrogen which mimics real estrogen in our bodies. This type of xenohormone can cause numerous problems, including increased risk of various cancers, infertility, thyroid issues, early onset puberty, and more. But of course this is far from the only nasty effect Roundup has on the human body. Scientists have found in some research that Monsanto’s best-selling herbicide Roundup causes toxicity to human cells, and actually kills human kidney cells at low doses. What’s more, other researchers testing Roundup on rats found that within 1 to 48 hours of exposure, testicular cells of the mature rats were either damaged or killed. The study is yet another reminder that ingredients used in pesticides and herbicides have detrimental effects on the human body and should be avoided whenever at all possible. We need to raise awareness on how Monsanto’s chemical creations and herbicides at large are poisoning the mass population.